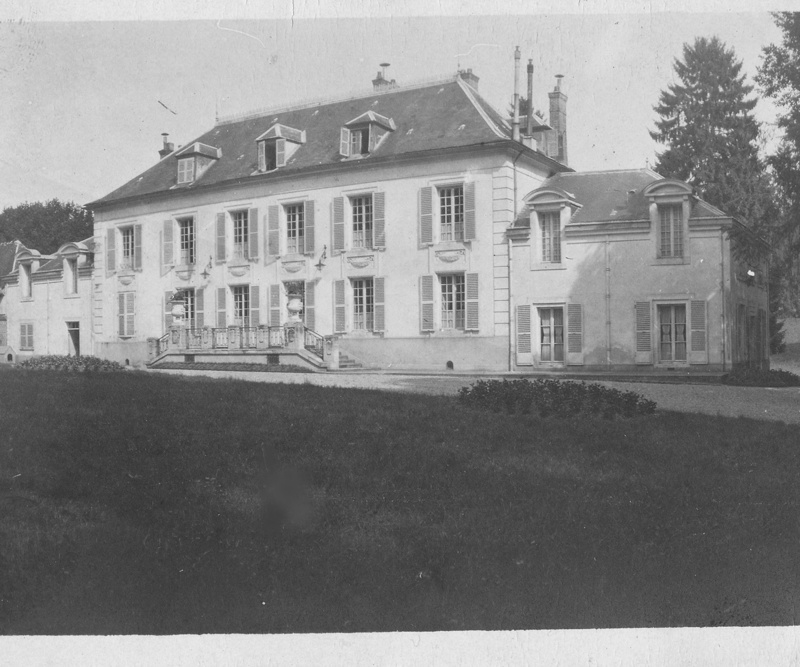 Our panels came from a bedroom set used in the Paris "cottage" pictured below. The original set included a bed covering and pillows. These remaining panels were draped above the headboard of the bed. 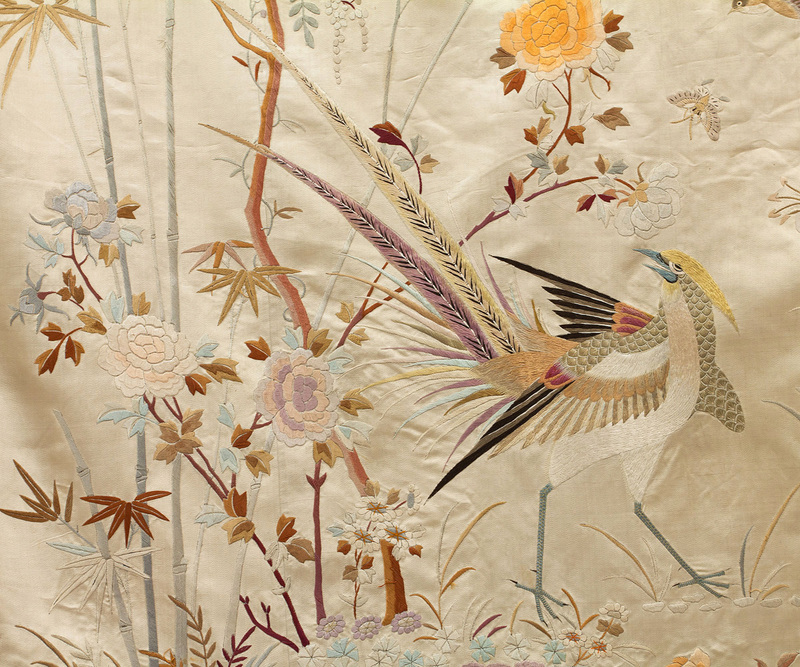 The panels were hand embroidered in China on cream colored silk satin. They are backed with pale gold sateen. One edge of each panel is trimmed with hand-knotted silk fringe. 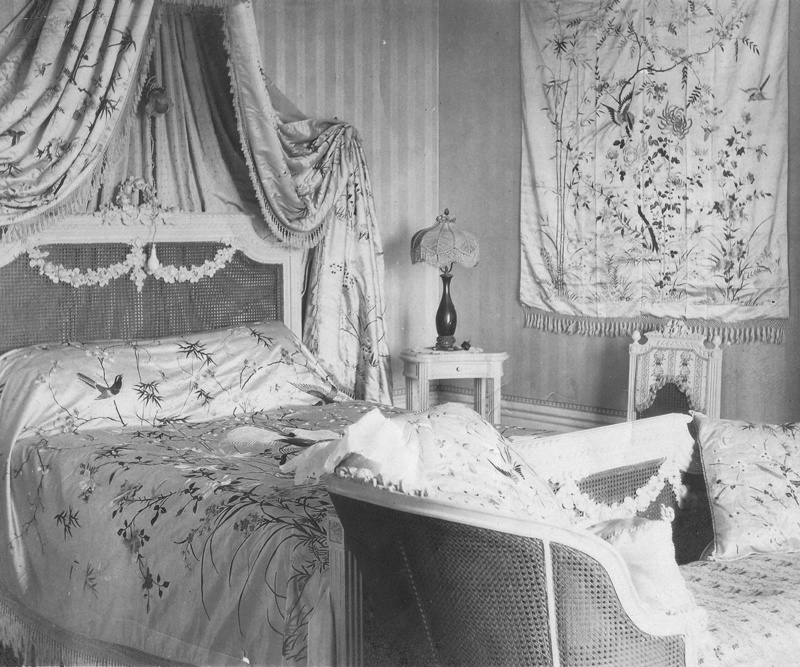 The pictures of the house—included with the panels—depict the elegant boudoir of an aristocratic French lady of the time. 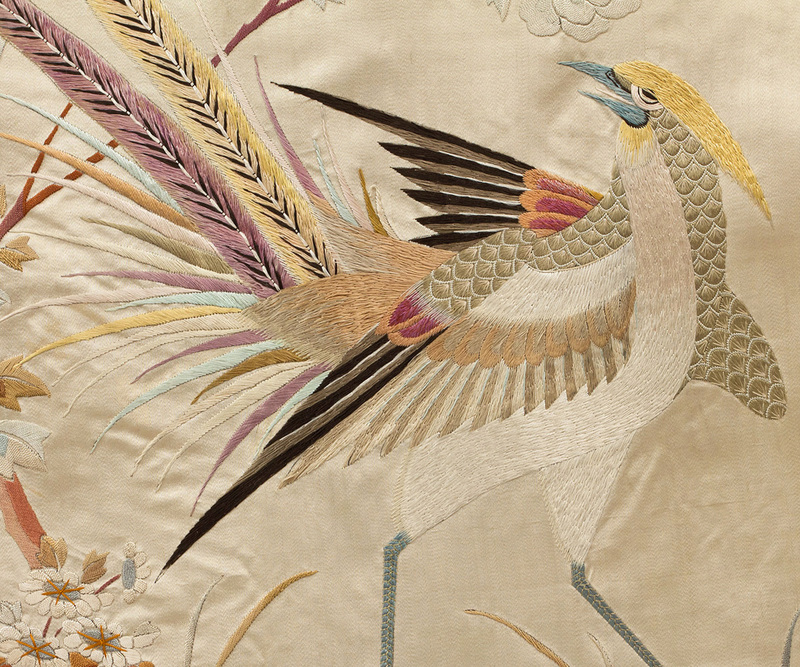 Chinese hand embroidery was the perfect choice for the sumptuous interior. 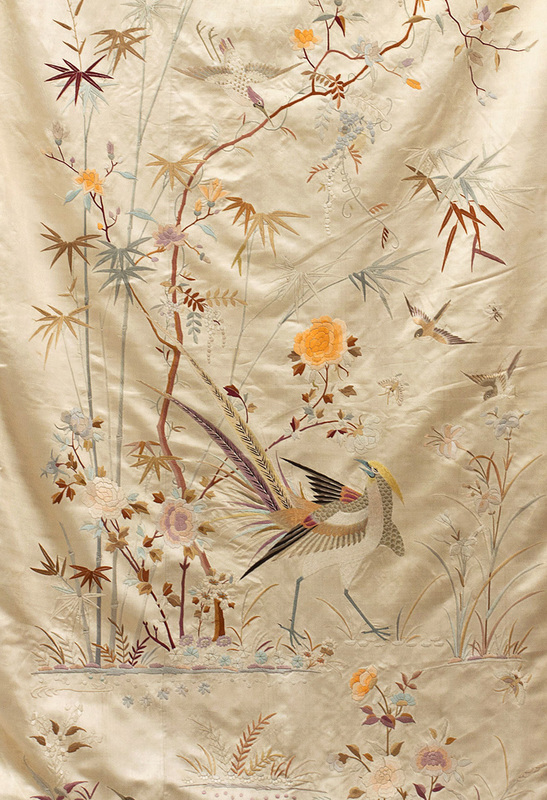 The delicate refinement of the masterful design is characteristic of the finest Chinese export embroidery (or painting). 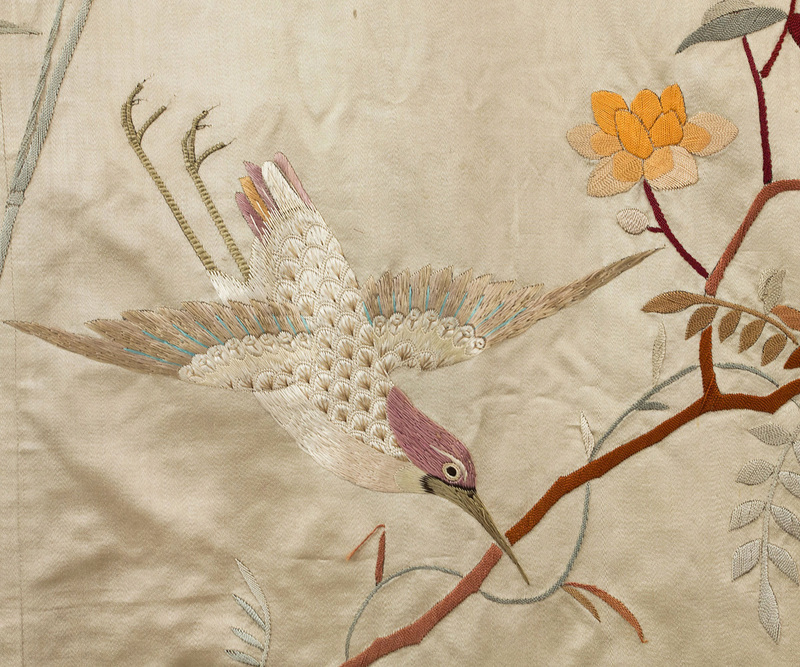 Embroidery is the ideal medium for the dazzling verisimilitude of the pregnant petals limned in tender pastels. Drawn to the radiant flowers are brilliantly hued birds, all atwitter with the joy of spring. 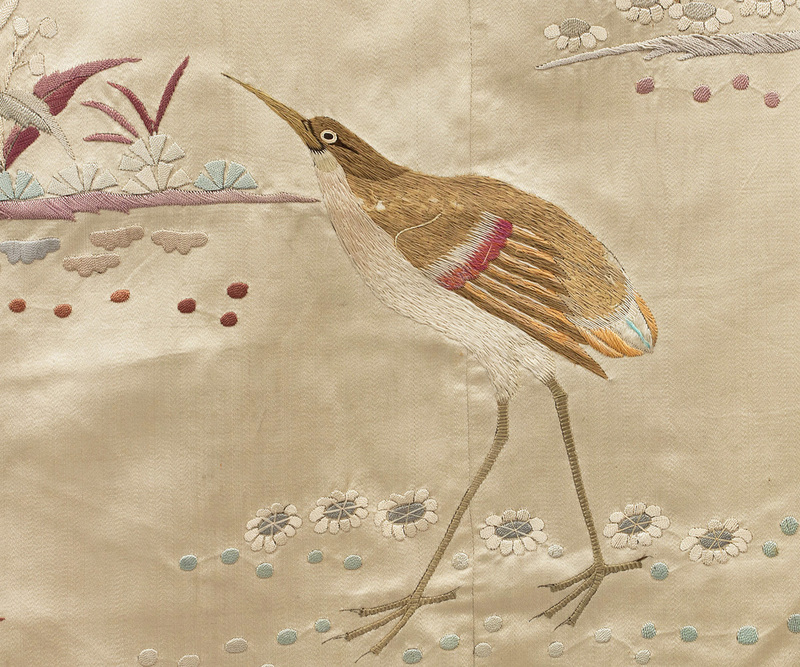 Nature herself might envy the peerless artistry of the embroiderer's art. The condition is almost excellent. In the fabric along the top and lower edges only are a few breaks. You can trim back the panels a few inches to make them perfect. Each panel measures 38" wide by 108" long.